Police are appealing for information after a man was found dead in a harbour last Friday. 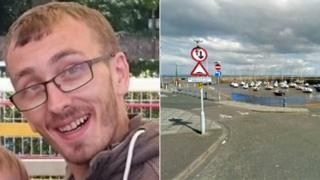 The body of 25-year-old Darran Everett was discovered in Musselburgh harbour, East Lothian, at about 18:00 on 13 October. His death is being treated as "unexplained". Police Scotland has referred the case to the Police Investigations and Review Commissioner (Pirc) and is not commenting further. Mr Everett was last seen at a property in Burns Wynd in Musselburgh at 18:00 on 12 October. Officers said they wanted to speak to anyone who may have seen him in the 24 hours before his death. Det Insp Graham Garvie said: "We are seeking to establish where he went after he left this address and prior to his body being found, and ultimately how he died. "Darran was wearing a black hooded Mckenzie jacket with a red logo, navy jogging bottoms and blue sand shoes with a white sole when he was last seen - he was 5ft 4in (163cm) tall, of slim build and had short brown hair. "We are working hard to provide answers to Darran's family and friends about his death and I would like to offer my sympathies to them at this difficult time."